Nice heat but use sparingly until your sure. 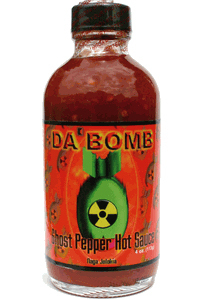 Da Bomb Ghost Pepper Hot Sauce. Very good flavor and Very hot. 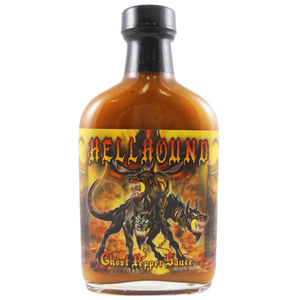 Use sparingly with your favorite base sauce and you won't be disapointed. If your goal is just to add heat, then this will do! It certainly is hot. But I really don't care for the flavor of the sauce itself. I will only use this for adding heat to a large dish with only a dash of sauce.